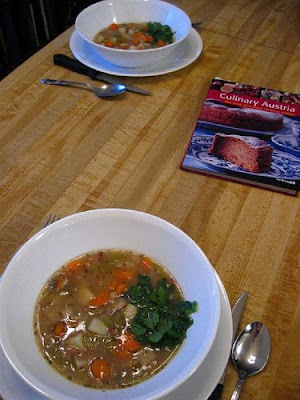 Here’s an Austrian soup recipe that is so hearty and wholesome, I bet the von Trapp family served it at dinnertime. 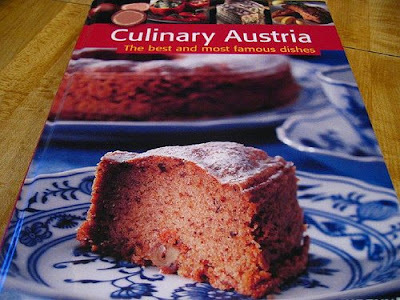 It comes from a cookbook of Austrian cuisine that was a gift from a wonderful guest we recently hosted who hailed from Graz, Austria. The ingredients will all be easy to find in your grocery store, and yet the soup has a distinct and unusual savory flavor. Cook this simple and highly scalable dish in your home and see if it makes your family burst into song! 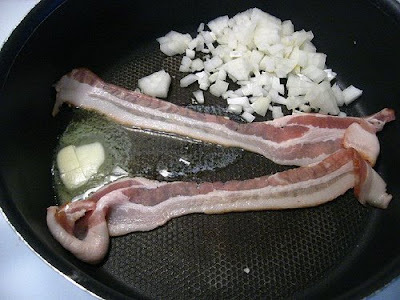 1) Melt the butter in a large deep pan, fry bacon and chopped onions on medium heat until bacon is done. Remove the bacon and chop into pieces, then add back to pan. Add flour and combine well. 2) Add the liquid stock. 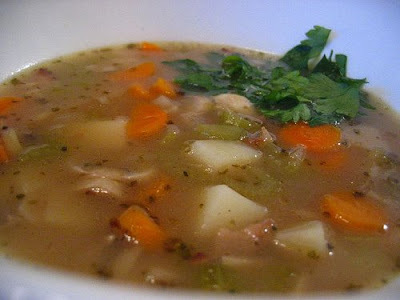 Then add the salt, pepper, marjoram, mushrooms, carrots (or parsnips) and celery. Bring to a boil and then simmer for 10 minutes. 3) Add the potatoes and simmer for 20-25 minutes, or until the potatoes are tender. Season with additional pepper or marjoram if desired. Garnish with fresh parsley. Serves 4+. Can be doubled easily. Unfortunately, I can't post an affiliate link to this cookbook because it doesn't exist at Amazon. But if you are reading me from the EU, you can buy a copy of this book via this link for only 10 Euros (um, that's about a million dollars US). Helps if you speak a little German. I like the picture of the cookbook. The cake looks 3D. Forgive me, but I can't see when you add the mushrooms on this recipe? Thanks! Emily, thanks for catching my oversight! You add the mushrooms in step 2, along with the carrots/parsnips and celery. Thanks for the clarification, Daniel! Please help! How much marjoram? Even ball park. It's not listed in ingredients. Plan to make for my Sound of Music knit-athon on Sunday! Need quick answer! Sarah, I'd start with a teaspoon full. 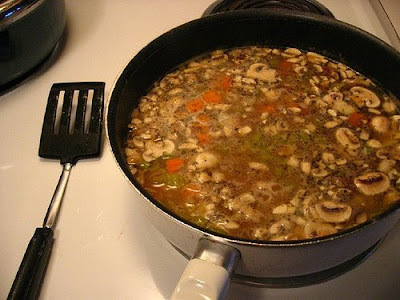 When the soup is done, taste it and then feel free to add more, along with a few generous shakes of black pepper. Good luck!